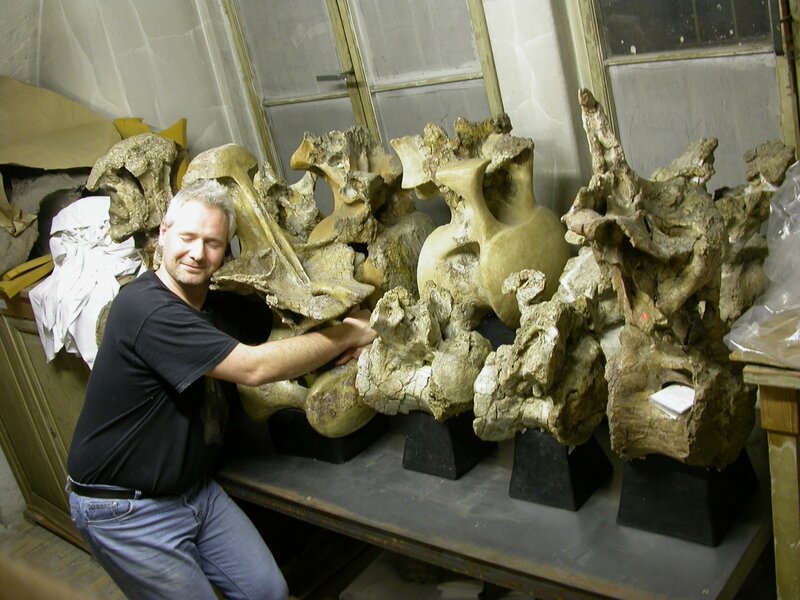 Matt took this photo in the basement of the Museum für Naturkunde Berlin, back in 2008 when we were there as part of the field-trip associated with the Bonn sauropod conference. Hopefully all you long-time SV-POW! readers will recognise the specific vertebra that I’m in love with. Is it a brachiosaur first dorsal? It’s slanty like a first dorsal. Is it the model for a new class of spacecraft? Heinrich, it’s hardly guessing in your case! Mark, it’s not a model for a spacecraft … not yet, anyway.